Both BoardSource in 2012 and the Charted Global Management Accountant (CGMA) in 2012 have issued reports on improving board governance. 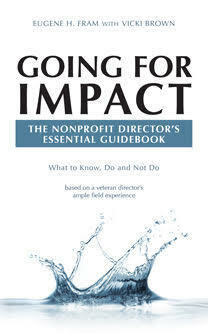 The former group focuses on nonprofit boards and the latter focuses on business boards globally. * Both the nonprofit and business organization reports listed the following prime areas for board improvement or focus:The CGMA report called for improved strategy development & risk analysis; better boardroom behaviors; better relationships between board & management. The BoardSource report asked for improved focus on strategy, with much less emphasis on operations; more board commitment, engagement, & attendance; better self-assessment, recruitment & development.